Opening a new chapter in your career begins with the required real estate license education to get your New York Real Estate License. Real Estate is an exciting and rewarding career and we have made completing the requirements very easy. Get started today and not only learn the requirements to pass the exam but learn what it will take to be successful. 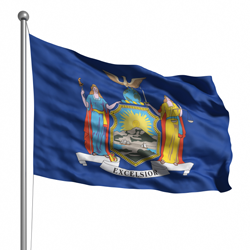 New York 75 Hour Prelicensing Course (online) - Real Estate Principles, Practices, New York License Law. NY Sales Exam Prep (online) - The only mastery and fluency exam prep system in the market. *All of our prelicense courses are designed to be taken independently from any specific textbook. The online Salesperson Qualifying course covers all the required material necessary to prepare you for the NY state licensing exam. The NY Spada textbook included in this package is an excellent additional learning resource and provided as a supplemental reference only. Complete 75 hours of prelicense education inclusive of passing a course final exam (those salesperson applicants who completed the 45 hour salesperson course prior to July 1, 2008 may complete the additional 30 hour qualifying course to satisfy the 75 hour requirement).